POMEROY — Ohio Governor Mike DeWine will serve as the Grand Marshal for the Meigs County Bicentennial Parade in April. The announcement was made by Bicentennial Committee members Randy Smith and Shelly Combs during the Meigs Chamber LIVE event on Wednesday afternoon. 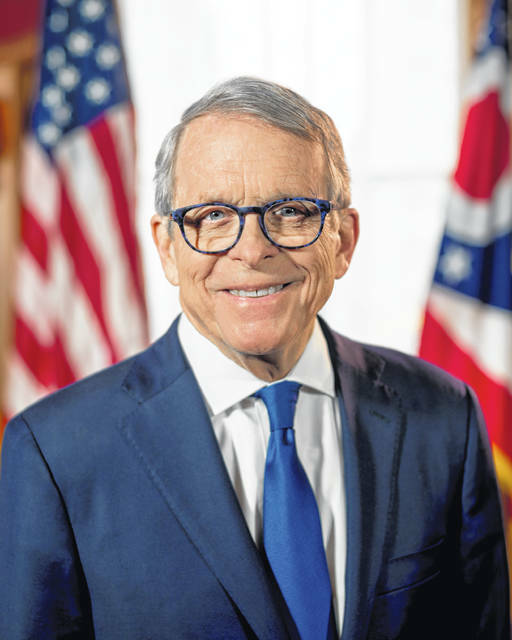 In November 2018, DeWine was elected to serve as the 70th Governor of the State of Ohio. He was previously the 50th Attorney General of Ohio and has previously been elected to serve as Greene County Prosecutor, Ohio State Senator, U.S. Congressman, Ohio Lt. Governor, U.S. Senator. The parade will be part of the Bicentennial Weekend Celebration April 26-28. The parade will take place at 10 a.m. on Saturday, April 27 beginning in Pomeroy and traveling through Middleport, where it will conclude near The Blakeslee Center (Future Home of the Meigs County Council on Aging). Any individual, business, organization or other group is welcome to take part in the parade, but pre-registration is requested as parade participants will be announced during the parade. Cash prizes will be given for the parade float winners, including a $1,000 top prize. Following the parade will be the digging up of the time capsule near the Civil War Monument at the Meigs County Courthouse. The time capsule was buried in 1994 in commemoration of the 175th anniversary of Meigs County. After the opening of the time capsule, a new time capsule will be buried to be opened at a later date. Any group, business, individual or organization with an item they would like to place in the time capsule can contact the Bicentennial Committee. Items should be small in order to fit in the capsule. After the time capsule will be a military skirmish in downtown Pomeroy with military reenactors who are taking place in the weekend activities. A larger reenactment is planned on Sunday afternoon at the Meigs County Fairgrounds. Saturday will also feature musical entertainment from several entertainers with local ties. The musical entertainment will begin at 2 p.m. on the Pomeroy Parking Lot with Nick Michael and The Susan Page Orchestra. At 3:30 p.m. will be The Renee Stewart Band. Next Level will perform at 5 p.m. leading up to the performance by Matt Metheney. Metheney will be the headliner for the event, performing at 7 p.m. on April 27 on the Pomeroy Parking Lot. Additional information on the weekend’s activities, including the Chester Shade Historical Association event on Friday evening and the Sunday reenactment will appear in upcoming editions of The Daily Sentinel.